Hey Roadies! Ready for some new freebies? Our latest fabulous kit, Write On is now shipping and has some new (and absolutely free & beautiful) digital cutting files to go along with it! Are you ready for some great files to make your crafting easier? You'll be able to use these beautiful and classic files over and over! 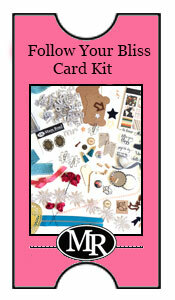 What great way to add beautiful and exclusive cutting file designs to some sweet crafting fun! All of it is designed to get you crafting, enjoying making beautiful projects and it's a great way to add special extras to your paper crafting. We have EIGHT amazing cutting files to share this time, that are absolutely stunning for your mini album and for crafting throughout the year! We know you're going to love them! These cutting files are all inspired by the Write On Kit and classic Maya Road style! While they work perfectly with the coordinating kit, be sure to use them over and over. These digital cutting shapes will work great on layouts, cards and other projects as well. That's the beauty of digital files...they can be used limitless times! Our free digital cutting files are now available from our Maya Road Kit Chat Group on Facebook! Simply join the group (click here) and you'll have instant access! The Write On Kit is an absolutely fabulous mix of creative product that is all designed to go together. It's full of amazing exclusives that you won't find anywhere else and you seriously can not beat the value! Feel free to purchase the kit at the link below or go to the full release page here to check out all the fabulous details, get inspired and shop our amazing add-ons! Mini Album Kit: Write On Release! Color Your World...Introducing Kay Miller! We couldn't be more excited to welcome Kay Miller as a guest designer for Maya Road Kits! Kay is an amazing watercolor and card making designer and everything she creates makes us sigh with delight. Color Your World is the perfect kit to show off her talents and you are going to be blown away with the beautiful watercolor designs. Full instructions for each design are included as part of the Color Your World Kit so that you can learn lots of watercolor techniques to use in your own projects! Hi, I’m Kay Miller. I’ve been in love with stamping and card making for over 20 years, after wandering into a small stamp store in Anacortez, Washington, while visiting my Grandfather. I was totally enthralled then, and I’m still as excited about it today as I was then! I am currently living a long time dream of mine, creating for several of my favorite stamp companies. I live in Missouri with my wonderful husband, two great kids, and lots of furry friends. Along with my love of card making, I also enjoy creating Christmas ornaments from Polymer clay, digital scrapbooking, photography, and long walks outside with the doggies. I’m thrilled to be guesting with Maya Road! Aren't they amazing?! You can find more of Kay's designs on her blog, My Joyful Moments. Thanks so much Kay, for inspiring us and sharing your talent! Don't forget the Color Your World Kit releases at 7pm EST Wednesday April 20th! That's tonight!!! 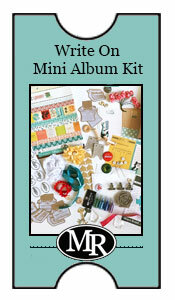 You'll find the release right here on the Maya Road Kits Blog so please join us!